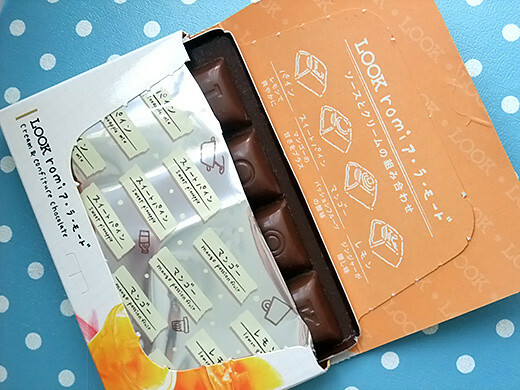 LOOK (12 chocolate candies filled with 4 flavored cream) collaborated with Romi Igarashi. 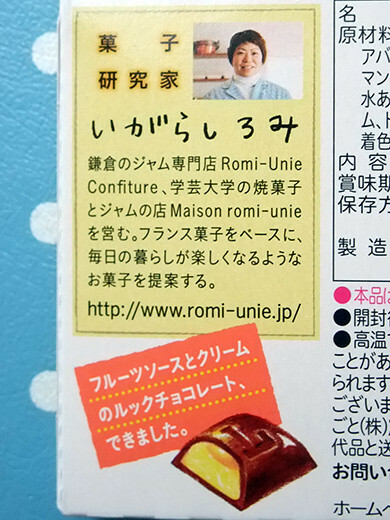 She is a famous sweets researcher/producer, her sweets are always good. 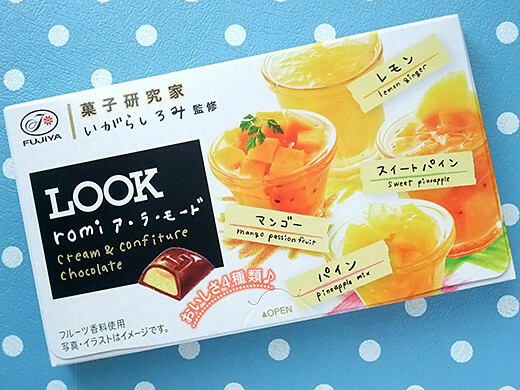 Four summer fruits cream and jelly – pineapple with lemon, pineapple with mango, mango with passion fruits, and lemon ginger – matches milk chocolate.